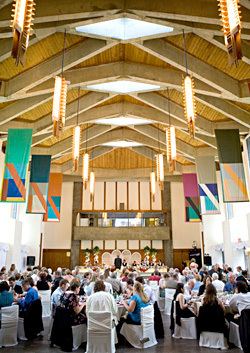 Trent University’s Conference & Hospitality Services is offering a special promotion for Summer and Fall 2011 wedding bookings. 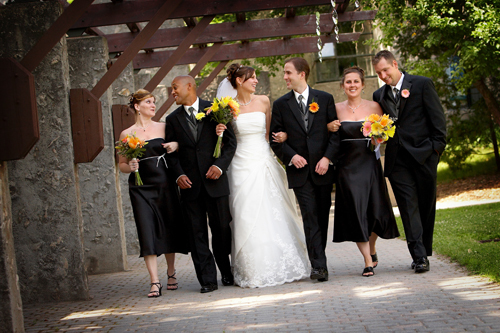 If you book your Summer or Fall 2011 wedding with Trent University before April 30th, 2011, you will receive $500.00 off the original price! Trent University offers more than just an impressive setting for your wedding, they make it easy to plan your special event. With five distinctive colleges spread across 1500 acres, Trent presents you with a wonderful variety of accommodations, award-winning architecture, meeting space and facilities. All-inclusive packages are available. Located in the vibrant city of Peterborough, Trent is easily accessible from major centres, including Toronto, Ottawa, and Montreal. Hurry up and book your wedding with Trent University to get this amazing discount! Phone (705) 748-1260 and ask for Danielle. $500.00 off of the original price.